Body oils are essential to women primarily because it helps boost their fitness and wellness. 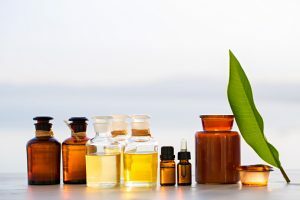 Just like other skincare commercial products, these oils also differ according to its ingredients. There are organic oils with vegetable extracts that moisturize your dry skin. Some oils are also made to take care of your hair, and others are intended to whiten your skin. Also, there are oils for the use of massage. It is true that choosing a body oil that will satisfy your needs is difficult, considering that there are many on the market. This is where our buying guide comes in. 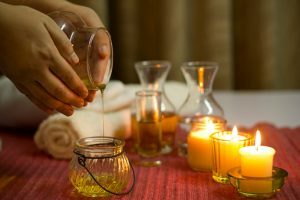 In this article, we will explain the factors you need to consider when buying a body oil and present the top 10 body oils you can purchase online. Now, buckle up and let’s start digging! 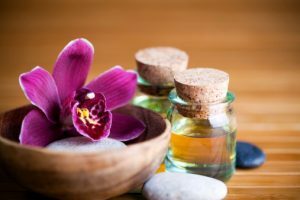 Although some people think of body oils as something slimy and sticky, these oils are actually helpful to your body, especially to your skin. Body oils are powerful in keeping your skin moisturized because it has excellent moisturizing ingredients like jojoba and olive extracts. These oils are even better moisturizers than body creams or body milk products. A small amount of body oil can already cover a wide area of your body, which makes it economical to use. Oils are also popular as an important aid for body massages because it lessens the friction on your skin. People with sensitive skin are safe with body oils as well because most of them are made of organic ingredients. There are also several oils that can be applied to wet skin. If you want a more organic skin moisturizer, body oils are the best! 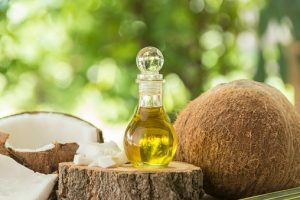 Before we look into the top 10 best body oils online, let’s first talk about the important factors in choosing the best body oil. This will help you narrow down your search for the right product, so pay close attention to each detail! Like we mentioned previously, the benefits you can get from body oils depend on the ingredients it contains. In the following sections, we will discuss each ingredient along with its benefits. 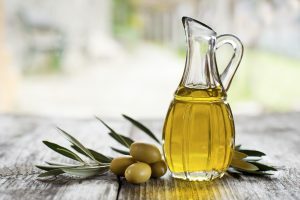 Jojoba and olive plants are known to have a moisturizing property that helps keep skin hydrated, so those with dry and dull skin should get a body oil that contains jojoba or olive oil. These ingredients are also effective in removing sebum, which makes them a good cleanser. They are helpful in eliminating pimples as well. However, it is important to note that only a small amount of oil is ideal for cleansing because too much of it feels greasy. Aside from moisturizing your skin, body oils are also excellent for skin whitening, and argan and almond oils are the best for this! 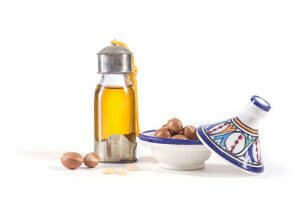 Argan oil is an antioxidant agent that slows down aging and keeps your skin look youthful. It also has the power to block UV rays to prevent sun damage and is an incredible skin moisturizer too! On the other hand, almond oil helps improve the resilience of your skin, which makes it lighter and glowing. People with sensitive skin should also consider this oil because risks of allergic reactions are low. When it comes to hair care, coconut oil is very popular because of its amazing effectiveness. This oil contains high permeability and has very fine particles. Aside from giving your hair a polished surface, coconut oil can also moisturize your hair from its roots to its tips. Damaged hair due to chemicals from shampoo and other hair products can be fixed by coconut oil as well. Furthermore, this oil can also fight off UV rays that can cause serious damage to your hair. You can place an ideal amount of coconut oil on your scalp too for sun protection. Using it regularly shields your hair and scalp from any sun damage. You may think that body oils have a similar texture, however, this is not the case with body oils. The oil texture is formulated depending on which part of the body it is applied to. For example, if you will use the oil to moisturize or refresh your face after washing, you will need an oil with a smoother texture. However, if you are getting an oil for a whole body massage, you better get something with a thicker texture. The thick texture has better penetration, lesser friction to the skin, and is easier for massages. One good example of a thicker texture is the sesame oil. Furthermore, the weather is also another thing to pay attention to. During the wet season where it’s usually cold, a moisturizing body oil is really helpful as the low temperature dries your skin. If it’s the dry season, a body oil that can help protect your skin from sun damage is advisable. A body massage relaxes your body, and it would be great if you get a body oil that is not only good for the skin but is also fragrant. You will feel more relaxed when the smell of your body oil is just the right fragrance you are looking for. You can also substitute a scented body oil with a perfume, which makes it cost-effective for you. One important thing to note is the expiration date of the oil. You don’t want to buy a body oil that will expire in a couple of months, right? Of course, it’s natural to purchase something that has a longer expiration date. If the body oil reaches its expiration date, it starts to change – texture, smell, and color. This also means that the oil should be disposed already. Deterioration of body oil is caused by oxidation. Oxidation happens when the oil is affected by oxygen in the air, which can lessen the product’s lifespan and effectiveness. It is significant to learn that the more the oil is exposed to the air – every time you open the bottle – the higher the level of oxidation. Because of this, it’s wiser to get an oil that has greater resistance to oxidation. We have now reached the list of the top 10 best body oils online. We will discuss the features of each item so you will know which is suitable for you. 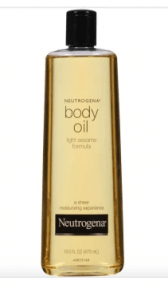 This body oil is a splendid moisturizer that keeps your skin moisturized for a more glowing you. It contains virgin coconut oil, its main ingredient, with shea butter that does an excellent job of moisturizing your skin. Its main ingredient also helps in relieving body pain, especially arthritis pain. This oil is also non-greasy so it doesn’t allow an unpleasant and sticky feeling. This is a body oil for people with dull and dry skin and for those who are suffering from arthritis and other body pain. 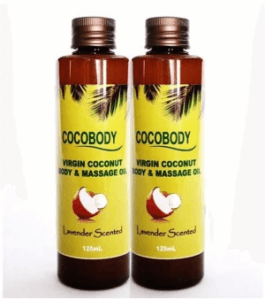 Cocobody competes with a body oil made from fresh coconuts that allows you to enjoy your massage. It greatly penetrates your skin, allowing you to have a soothing feeling during a massage. It’s amazing for working individuals who want to experience a relaxing massage to gently calm their tired muscles. Its coconut oil ingredient has antifungal and antibacterial properties that stop any fungal and bacterial growth. You’ll also be delighted to smell its pleasant lavender aroma. 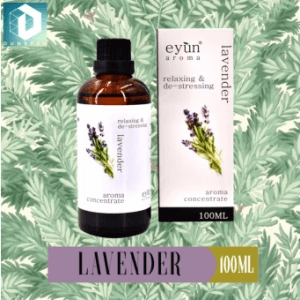 This body oil by Eyun promises to free you from stress as its main ingredient is the lavender oil. The oil is known to be effective in relieving body pain and improving blood circulation, allowing your body to regain its healthy condition. Its aroma is also excellent in helping you get to sleep because it simply puts you in a relaxed state. It’s awesome for working Filipinos who are constantly experiencing daily stress from work and for those who have sleeping difficulties. This body oil also ensures that it is made with natural ingredients and is non-toxic and alcohol-free, which is completely organic. Human Nature never fails to provide a body oil that gently moisturizes your skin. The sunflower oil has higher vitamin E content than argan oil that deeply moisturizes your skin. It locks in your natural moisture while gently reducing skin damage. It’s terrific for people with dry, dull, and flaky skin. It also makes your skin soft and smooth by keeping it always nourished. It doesn’t feel greasy as well and absorbs into your skin quickly. 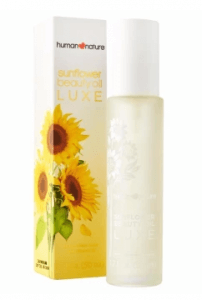 Its sunflower fragrance can also serve as an awesome perfume. The only issue with the oil is the difficulty in dispensing. You’ll need to carefully control its pump if you only want half a pump. This beautifully created body oil allows you to experience a spa-like feeling in every application. 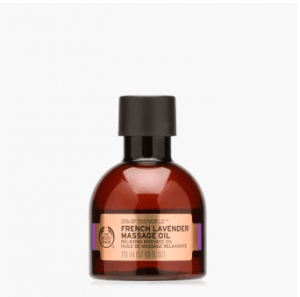 Its French lavender ingredient creates a relaxing scent that improves your sense of well-being. This is incredible for people who simply want to take a short break from whatever they do in life and relax. This oil also promotes good sleep, so applying this before you sleep is also recommended. However, this body oil does not come with a pump construction, so this is not appealing to those who are looking for a pump type. 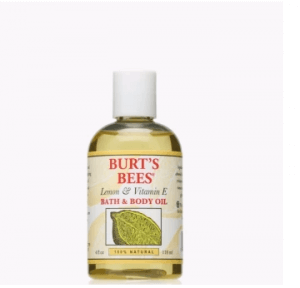 Burt’s Bees offers a body oil that organically energizes and nourishes your skin in each use. It contains lemon extracts rich in vitamin C that enhances skin health. It also has vitamin E that eliminates free radicals, slowing down the aging process. This is great for people who are skin conscious and want to have a glowing skin. This body oil also contains almond oil that deeply cleanses your pores, preventing acne problems. It has excellent moisturizing properties for a more hydrated and smoother skin. However, this is not recommended for people who are looking for a body oil with a finer texture because they might find its texture too greasy. This amazing body oil specializes in promoting hair growth. The castor seed oil contains omega-6 and ricinoleic acid that are essential for effective hair growth. It also helps in thickening your hair, making it voluminous and beautiful. This is perfect for people with thin hair strands and for those who are suffering from hair loss. Aside from its hair benefits, this oil is also great for skin hydration because it is rich in protein. It is effective in treating acne problems as well because it has the ability to fight off bacteria-causing acne. However, this is not recommended for people with a sensitive scalp as it can cause redness or itchiness. 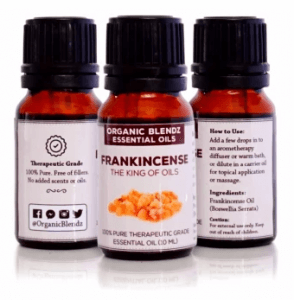 This body oil is specially formulated with frankincense oil that is effective in relieving stress, allowing you to experience good comfort. It also reduces inflammation that frees you from pain. This is recommended for working individuals who have a high risk of work stress and for those who are experiencing swollen joints. It also helps lighten dark spots caused by acne and reduces stretch marks. Its gentle aroma relaxes your senses that lightens your mood. However, this is not ideal for people with sensitive skin as it might cause skin rashes. The number 1 on our list is proud to compete with an absolute moisturizing benefit. Its light sesame formula is packed with antioxidants that easily absorbs into your skin, making it always nourished and moisturized. This is highly recommended for people with dry and dull skin. This is also incredible to mix in the water every time you take a bath. Its light and fresh aroma will make you feel fresh to start a new day. Oxidation occurs, and it can’t be avoided. An oxidized body oil is not good for your skin because it can increase aging and negatively affects the natural moisture of the skin. 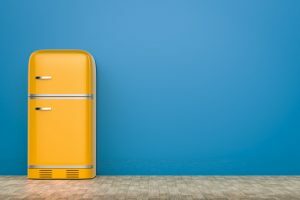 However, oxidation can be slowed down depending on the storage method, and the greatest way to do it is keeping it in the refrigeration. The body oil needs to be kept in the refrigerator to prolong its usage. However, please keep in mind that, depending on the texture, some oils solidify when refrigerated. If this is the case, you can always keep them in a cooler place, that is, in an area with a lower temperature. How did you find our list of body oils? If you think you haven’t found the right one yet, always go back to the buying guide for your reference. Remember, you don’t have to buy an expensive body oil. Choose something that contains the features you are looking for and that provides the benefits you deserve!